Dad had a rough transition, both physically and emotionally, to his new home. Lots of consultations with social workers and physical therapists and nurses and docs. A few days with a full-time minder, to whom he was polite, but whose presence he could not tolerate. Most memorable to me was his kicking across the room of what he wanted to make clear was not his walker. The old football player’s final punt went high and deep before crashing satisfyingly into furniture, wall, and floor. But he gradually got squared away. Issues noted. Meds adjusted. A few key familiar items brought from home. Lots of visitors. And after a month or so, he was a new man. He still wouldn’t use the ! @#$% walker everyone cleverly kept putting in front of him, he still had the occasional malfunction requiring light medical attention, and he can’t speak without great effort, and even then is often unclear. But he began to feel at home, and despite his verbal limitations he made friends. 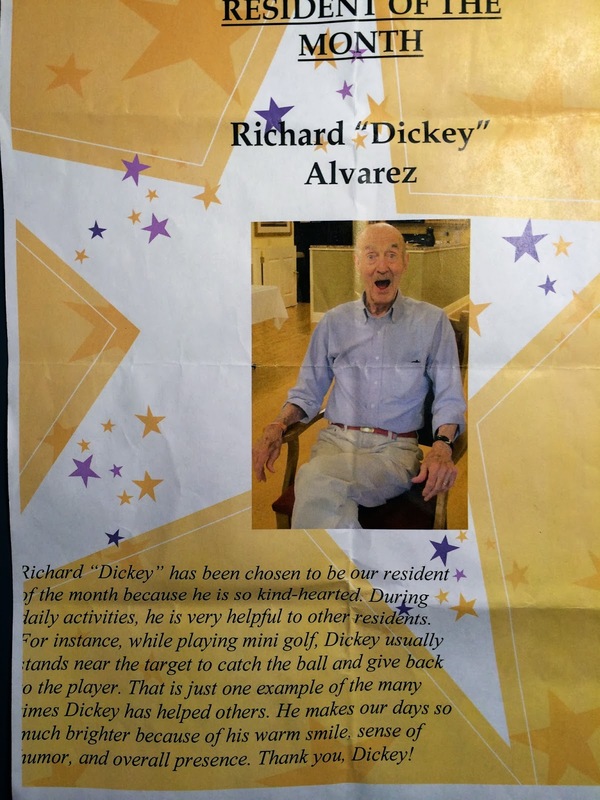 The ladies—both fellow residents and staff—love him (big surprise!). He took what the aides told me everyone seemed to agree was his appropriate place at the head of the long dining table. (He’s eating so well he told me two weeks ago that the waists of his trousers were shrinking. I patted his tummy and said, “You know, dad, I think there might be another explanation.” He got it, and laughed. ) He pulled people out of their chairs to walk the halls with him. 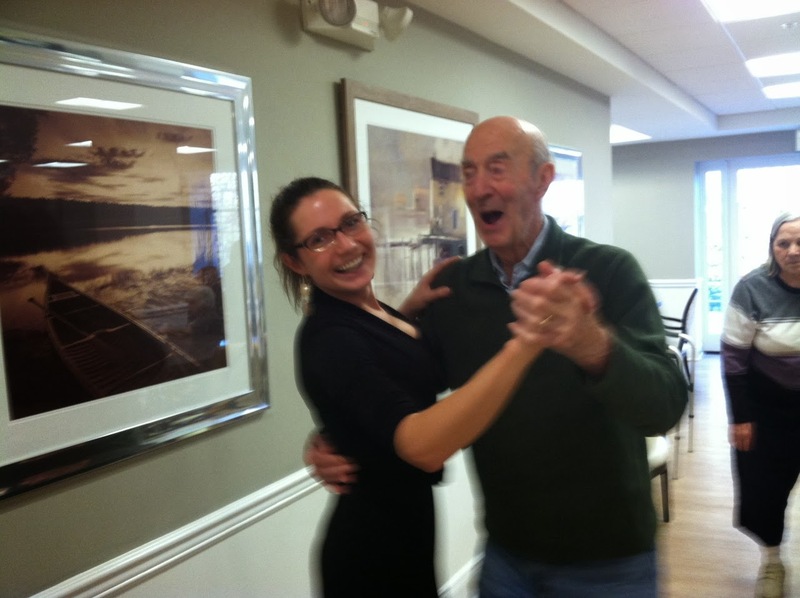 He danced with staff.